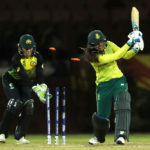 After a terrific start with the ball, the Proteas Women were found wanting with the bat against the Australian Women in their final warm-up match ahead of the start of the Women’s World Twenty20 in the West Indies. 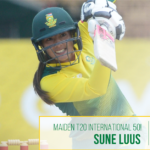 Sune Luus’ 86-ball 58 that helped the Proteas Women post a winning total of 201-9 against the West Indies is our Play of the Day. 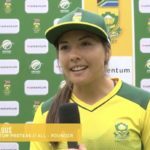 Proteas Women match-winner Sune Luus was promoted up the order after the last-minute withdrawal of Stacy Lackay and she responded with a brilliant 63. 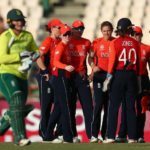 The Proteas Women kept a spot in the tri-nations final on the cards with a six-wicket win over the England Women. Comprehensive 17-, 32- and 23-run wins in the three T20 Internationals against Bangladesh earned many of the Proteas Women important points in the MRF Tyres ICC Women’s T20I Player Rankings. Sune Luus talks about scoring her maiden T20 half-century. 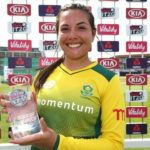 Sune Luus and Dané van Niekerk both scored half-centuries as the Proteas Women defended a 170-run target to claim a 32-run win against Bangladesh to go 2-0 up in their three-match T20I series. Proteas all-rounder Marizanne Kapp took 1-19 and scored 48 not out as Surrey Stars beat the Yorkshire Diamonds by eight wickets in the Super League on Sunday. 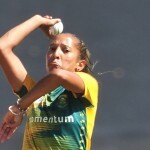 Sune Luus’ 5-67 was in vain as the Proteas slumped to a 59-run defeat to Australia in the World Cup on Saturday. India Women cruised past the Proteas Women in the quadrangular final, despite a well-played fifty from Sune Luus. Sune Luus starred as the Proteas Women eased past hosts Sri Lanka to guarantee 2017 World Cup qualification. 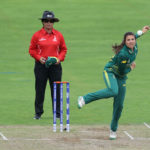 The Proteas women continued their unbeaten run, beating Bangladesh by six wickets in their World Cup Qualifier on Saturday. Lizelle Lee’s 87 off 71 balls led the Proteas Women’s onslaught of 251-3 in the first of five ODIs against Bangladesh at Cox’s Bazar. 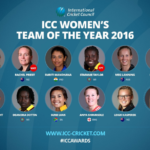 Proteas Women all-rounder Sune Luus has been rewarded for her excellent form in 2016 with a place in the inaugural ICC Women’s Team of the Year.